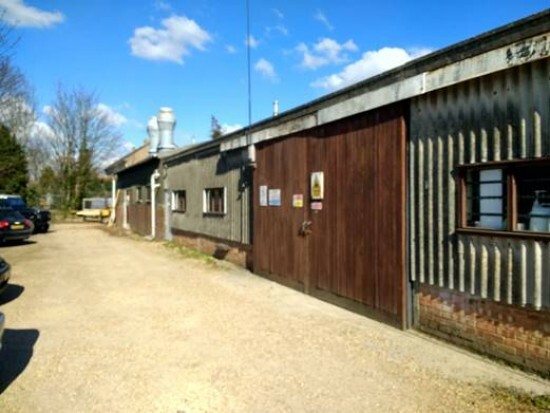 Vail Williams’ Property Acquisition and Disposal team in the Solent region was appointed by Portland Business & Financial Solutions to deal with the sale of a building occupied by Chichester Joinery. Chichester Joinery went into liquidation and the instruction was to sell the long-leasehold interest as quickly as possible. Vail Williams has experience in both acting for liquidators and dealing with the sale of potentially problematical long-leasehold interests. The original part of the building, at 12 Gravel Lane, Chichester, is post-war with later additions over the last 30 years. On the basis the sale had to complete as soon as possible, it was imperative sufficient due diligence was undertaken at the start of the marketing to identify any issues with the title and the long-lease to allow them to be dealt with and a strategy put in place. After analysing the long-lease and the title documents, it became obvious there was a disparity in the demise plan on the long-lease and the title plan. Vail Williams sought further information from Chichester Joinery and worked with Portland’s solicitors to agree a plan of action. Joint advice was provided to Portland on the best disposal strategy to address the issues identified. A purchaser was identified and there was an open conversation with the purchasers and their lawyers to deal with the issues surrounding the title and the sale completed quickly and efficiently. If Vail Williams had not used their experience in dealing with complicated long-leases, the title issue would not have been identified and a long and protracted sale process would have been the only option. The client would have had to incur the cost of managing and maintaining the building whilst it was being marketed, affecting the level of sale proceeds available upon completion of the sale. The client successfully completed the sale of the building without an unnecessary delay as they were fully informed on the sale process at the early stages of the marketing and an appropriate disposal strategy was put in place at the outset. Vail Williams provided pragmatic advice by identifying the issues that would have affected the marketing of the building and, as a result, the sale completed quickly and efficiently. This instruction was completed quickly and efficiently, in turn reducing the period the building was empty. As the client was fully informed at the outset of the issues with the title, the marketing plan was put in place and implemented quickly which resulted in an issue-free sale process for the client and the purchaser.